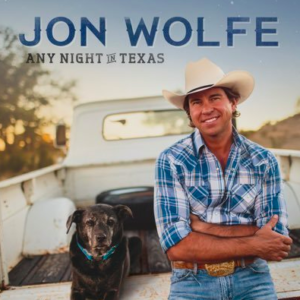 It’s been a couple years since we had Jon Wolfe here on the blog. He’s back in 2017 with a brand new single that sounds like it will kick off a brand new album. Jon has a big independent following. It seems he’s been doing this for a long time. His fans are loyal and he’s out there working the country artist life. And it seems like he’s having fun. This new song is certainly fun. A little throwback in the style and I like that. The sound and style of this one remind me of country from the late ’90s and into the ’00s. And I really liked that time in country music. There were plenty of uptempo country love songs like this one. I think it’s a style that plenty of country fans still like. You could imagine hearing this one from a Blake Shelton or Chris Young today. They kind of have this style today and do really well with it. But Jon definitely does the song justice. He has that deeper voice and kind of lets the song take the attention. Nothing too crazy with his voice or anything like that. The lyrics are pretty straight ahead. It’s about a guy that really can’t help falling head over heels for his woman. She’s showing him affection and it’s making him feel real good. She wants to be with him and he loves being with her. This is a good one. I don’t know if it’s destined for radio, but it would fit right in on that format.